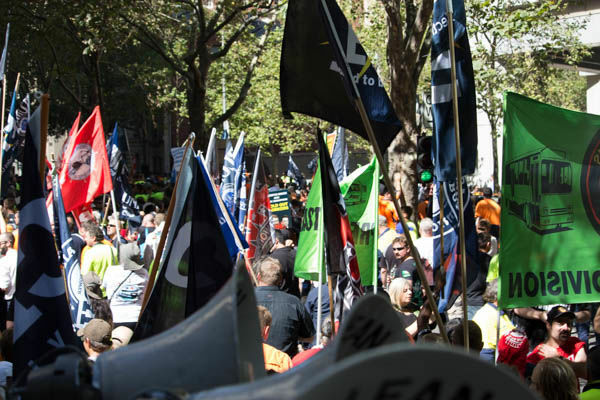 The Health Workers Union joined almost 15,000 workers on Thursday March 9th that marched from Melbourne Trades Hall through Melbourne’s CBD to the Liberal Party Headquarters on Exhibition Street. 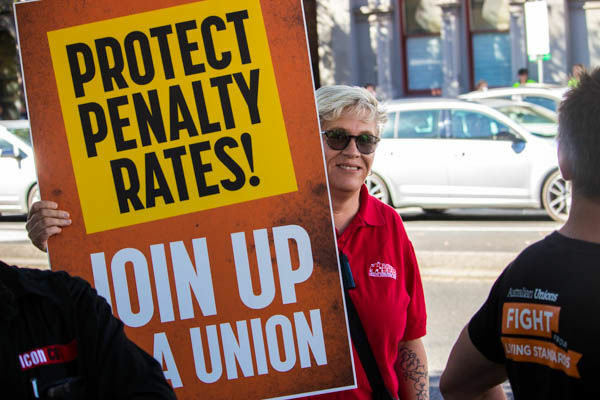 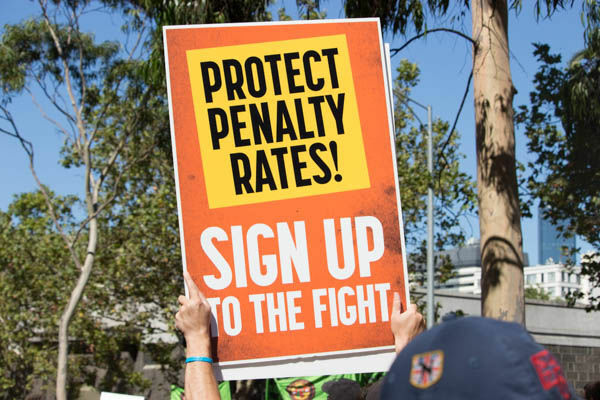 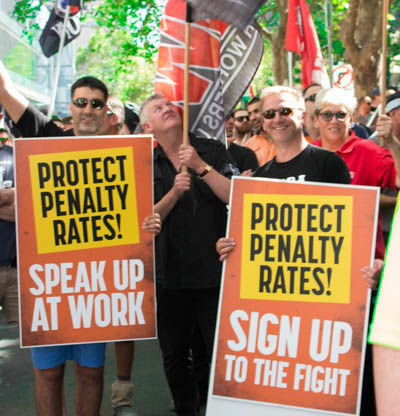 The rally was arranged by Melbourne’s Trade Hall to protest against the slashing of penalty rates and the Federal Government’s tough new building code. The rally, starting at Victorian Trades Hall was peaceful and well organised. 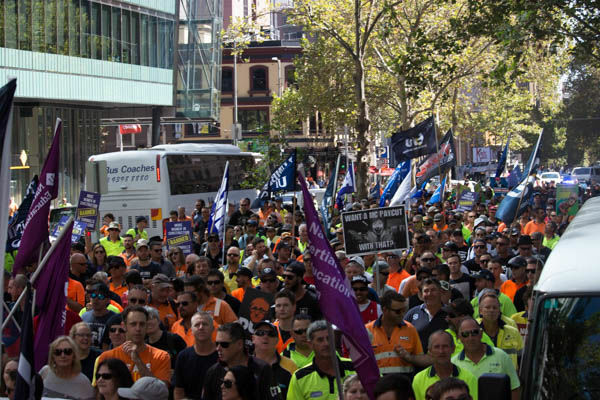 The Health Workers Union was joined by many other unions including the ANMF, Victorian Electrical Trades Union, the CFMEU and many others! 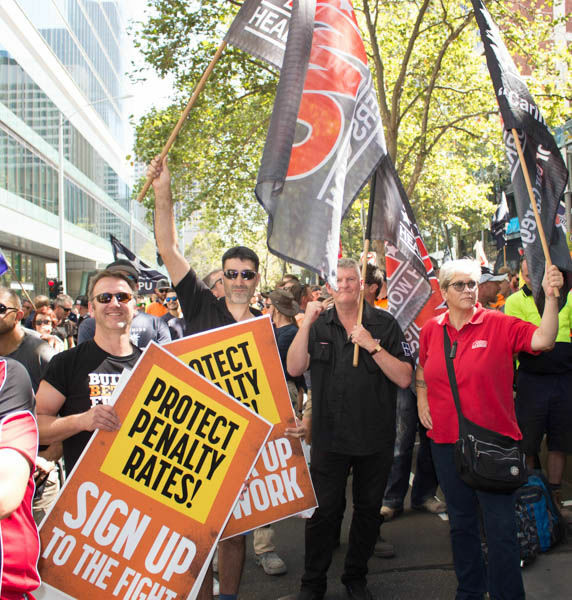 The Health Workers Union will keep members informed of future rallies, in particular, rallies that we directly organise We depend on our members to be active so that we can project our power in numbers!